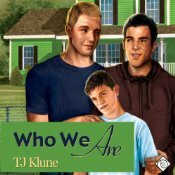 ☊☊☊☊☊ Audio book review: Who We Are by T.J. Klune ☊☊☊☊☊ | Because two men are better than one! ← Feb 5th only! Free Kindle books.